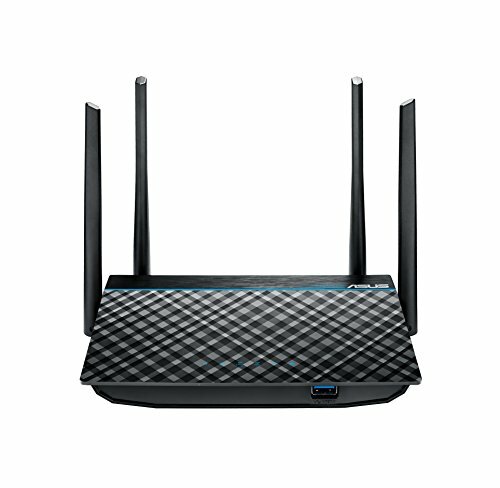 Upgrade to AC Wi-Fi for your bandwidth-hungry devices with the dual-band ASUS RT-ACRH13. Phones and tablets are free to roam throughout the home thanks to four external antennas that enhance coverage and stability. Easy, intuitive setup and network management are at your fingertips with ASUSWRT and the ASUS Router App. Actual data throughput and WiFi coverage will vary from network conditions and environmental factors, including the volume of network traffic, building material and construction, and network overhead, result in lower actual data throughput and wireless coverage.